a. Just drop by in our offices. Check our opening times at the bottom of this page and call us for an appointment with the expert of choice. Valuating historic collectibles is not an easy job – having the right man at hand to have an eye (and a hand) on your treasures helps a lot! b. Send us an email or snail mail with a detailed description of all objects, plus some digital or analog images, as high-resolution as possible and from various angles, showing significant details. If you sand paper pictures, please make them at least DIN A5. One of our experts will get back to you a.s.a.p. to let you have our appreciation – or to ask you for additional information. c. Call us to come visit, if we are talking about an entire collection, consisting of too many items to carry, or of single, but heavy or bulky items. We will arrange for one of our experts to drop by and valuate your property. Once we have achieved clarity on the nature of the items, their condition, quality and value, we will tell you what we think would be the adequate starting prices. 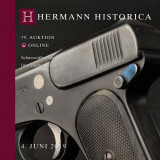 We will also inform you about all the marketing activities that we will undertake to promote your items, such as professionally fotographing and describing them, presenting them in our online and printed catalogues, advertising them in our newsletters, in printed and online media, and putting them on display in our show rooms. And of course we will also inform you about our terms and conditions for these services – the so called sellers-commission that is to be deducted from the hammer price. Once starting price and terms have been agreed upon we will manifest them in a consignors contract. Now it’s about time to bring your collectibles to our premises (unless you have already done so). Either just drop by and drop them off, or send them by mail or parcel service. In case we are talking about a large collection with numerous items there is also the option that we send a team of people with our own vehicles to have your items properly packed and transported to us, well insured. 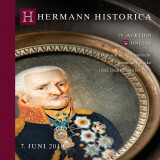 In the auction your items will be offered at the mutually established starting price. With every bid prices will go up by about 5% until no higher bids are made. 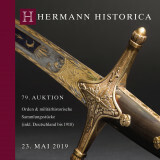 Such a bid can be made by people present in our auction hall, by online bidders or by telephone, but also by written bids through fax, email or snail mail, sent to us up front. 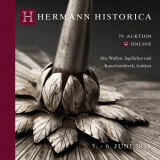 However, we cordially invite you to come and enjoy the auction - it's a lasting experience! 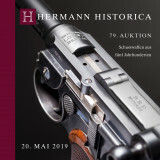 Or follow the auction through a live video and audio stream on the internet as if you were present, too. Once the auction of your items was successfully concluded we will invoice the goods to the successfull bidders and collect their payment. These transactions, including customs documents, ex/import permits and special licences might take a few weeks to complete. However, we will never let go of your property before payment has hit our account and the entire transaction is secured! Payment to you will usually be done within approx.. 6 weeks after the end of the auction, wiring to you the hammer price minus the seller’s commission. Please note that the hammer price frequently is well above the starting price! If against all odds an item doesn't sell at auction, interested parties can still acquire it within 6 weeks after the end of the auction for the starting price. After that we usually offer the item in our next auction at a reduced starting price. Got any questions? Please get in touch! Call us during our office hours from Monday to Friday from 10am to 12am and from 2:30pm to 6pm, at +49 89 5472 6490. Or make an appointment with an expert, from Monday to Friday 2:30pm to 6pm. 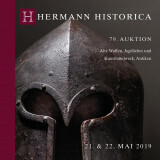 Or send an email to contact(at)hermann-historica.com.